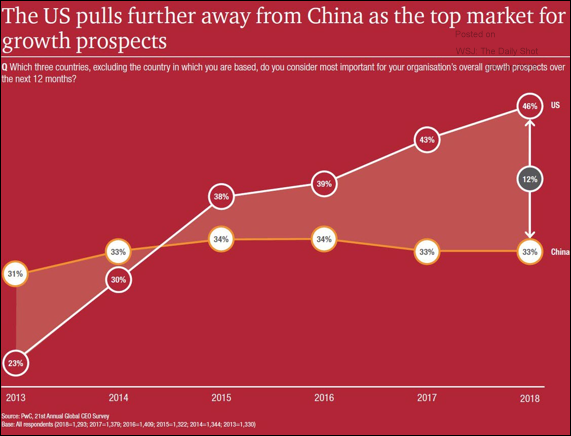 The United States: Companies increasingly consider the US to be the top market for growth prospects. 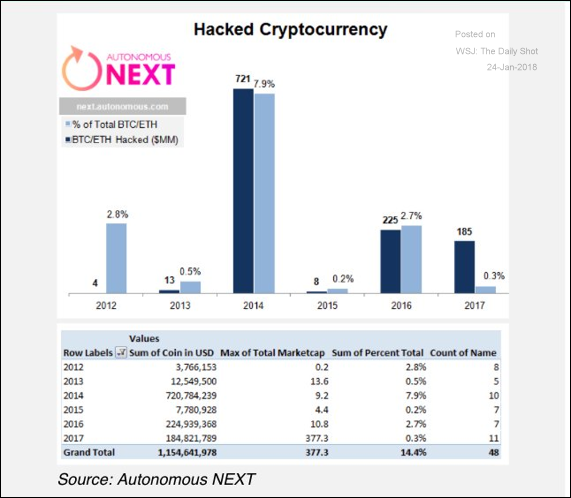 Bitcoin: Will more crypto exchanges be hacked this year? 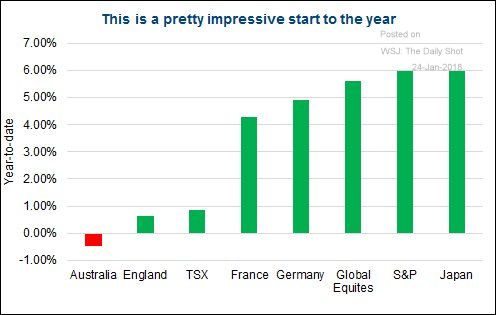 Equity Markets: It has been a phenomenal start of the year for stocks globally. Credit: The volume of unitranche loans hit a new high last quarter. 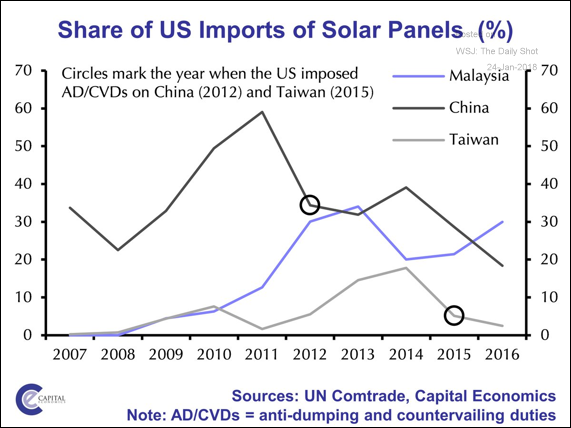 Emerging Markets: Malaysia will be hit the hardest by the US tariffs on solar panels. 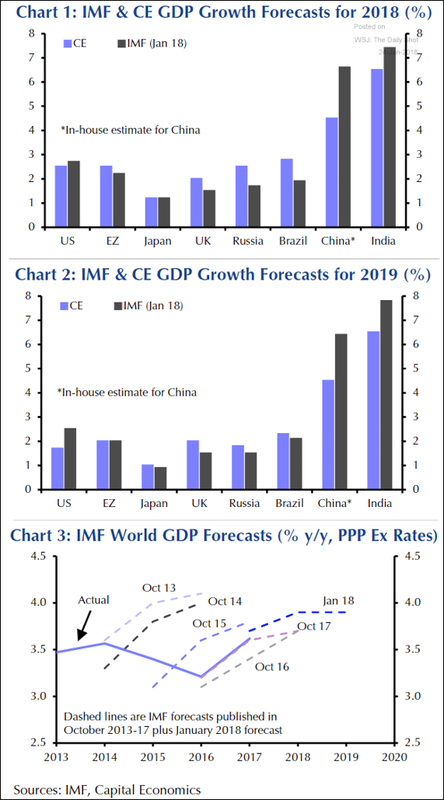 Global Developments: Here is how the IMF’s projections for economic growth in the largest economies compare to the Capital Economics forecasts. 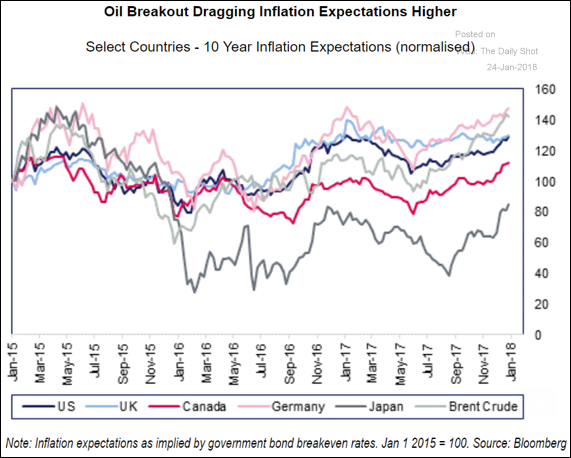 The IMF tends to be much too optimistic..
Rates: Inflation expectations are rising globally. 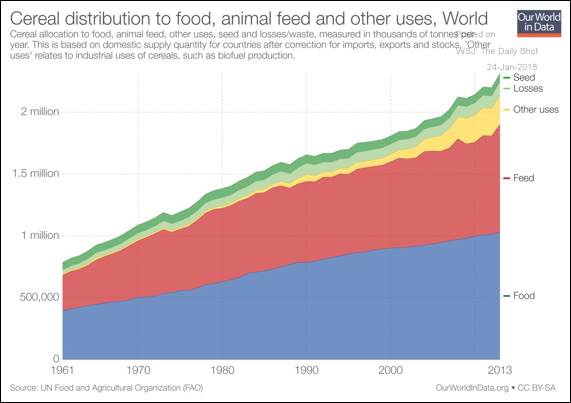 Food for Thought:The uses for cereal globally.